Championship Soccer Happy Birthday Add Age Party Banner Decoration. 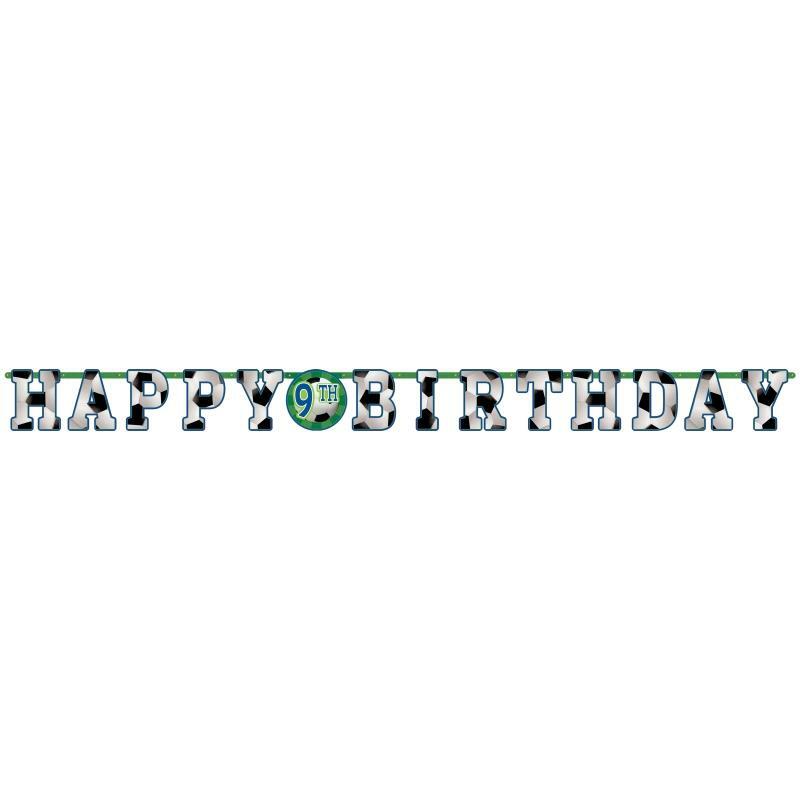 Design includes Shaped Championship Soccer Cutouts reading Happy Birthday, with a kit for you to Add your required age to the Banner. Inspire your Party with Championship Soccer Decorations! More matching Championship Soccer Themed Party items are available in our shop.